Today Morning after getting refresh you procced to city tour visiting Manali which includes- Hadimba Devi Temple.– Manali has many attractions but the chief central of interest, historically and archaeologically, is undoubtedly the dungri temple dedicated to the goddess Hadimba , the Wife of Bheema of Mahabharata Fame, This is wooden temple, In the dense forest of magnificent deodar, is about 2.5 Kms from the Mall. It is a pleasant stroll to the temple which was built in 1553 A.D. Vashisht(3.5 kms from Mall) Hot Sulphur Water springs – Renowned for its hot water and temples. The springs of Vashisht are believed to possess medicinal properties. The waters of the hot brooks are believed to heal skin diseases. Nearby is the pyramidal stone temple dedicated to vashisht Muni & lord Rama temple is also there. Tibetan-Monastery (0.5 Kms) – This Gadhan Thekchoking Gompa dominates the Tibetan area around the bottom of the Mall in Manali. The Tibetan refugees built the Gompa in the late 1969. The main attraction of the monastery is the handicrafts of Tibetan artistry and the carpets that are woven and sold in the monastery. Club House (2 Kms from Mall) – Located on the left bank of Manalsu Nallah . . Club house is famous for a amusement activities like skating, Disco Theque etc. Club house is surrounded by various picnic spots. 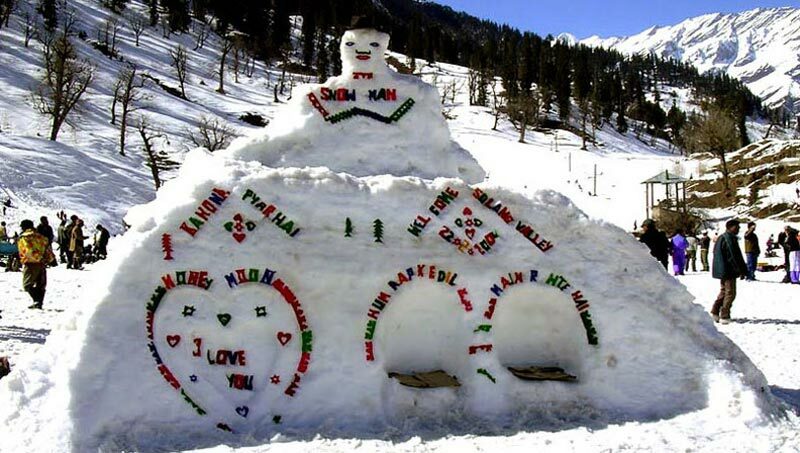 Later in the evening free to explore the Shopping Malls (Mall Road & IBEX Market) of Manali. Dinner & Overnight stay at hotel. Rohtang Pass 51 kms (Altitude 3979 m) Full Day Sightseeing – is the highest point, situated on the highway to Keylong/Leh & considered as the gateway to Lahaul Spiti . The Tour covers some of the most attractive spots, panorama activities and spectacular sight of glaciers. On the way to rohtang pass cover Nehru kund, Palchang, Kothi, Gulaba, Rahla Water Falls, Marhi, Rani Nala . Nehru kund: 5 kms. On National Highway to Leh,a natural spring of cold clear water named after Pt. Jawahar Lal Nehru, who used to drink water from this spring during his stay in Manali. 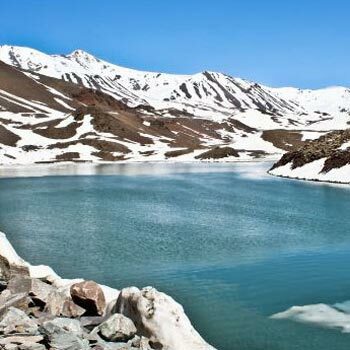 This spring is believed to originate from the Bhrigu lake situated high-up in the mountains. Kothi: It is a pretty little village, 12 km from Manali on the Keylong road. 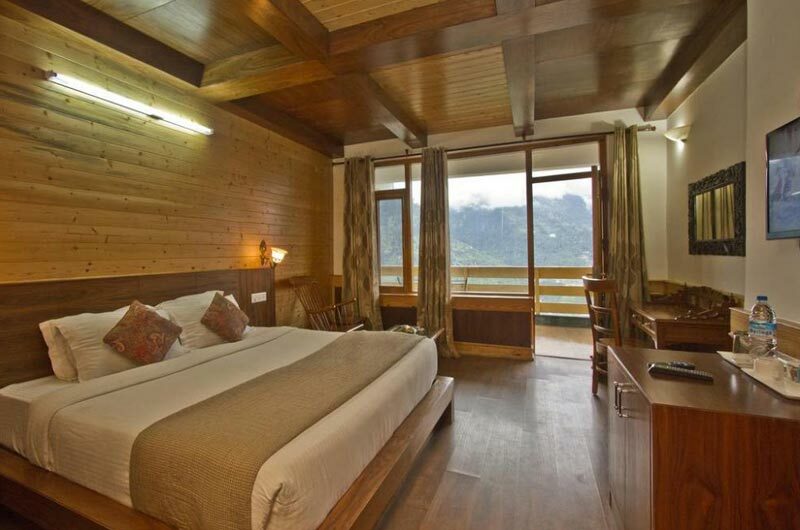 There are very fine views from Kothi, and the Beas river flows through a very deep and narrow gorge at this point. Gulaba Camp: 20 km from Manali, is this beautiful place famous for sightseeing, picnic and photography. Rahala water falls: 30 kms. on way to Rohtang pass. If one goes to Marhi on foot from Kothi from the old road, the sight of the falls is fascinating. It is a good picnic spot as well. Marhi: 35 kms. On way to Rohtang pass, picturesque point on the way to the Rohtang passes. Rani Nala: 46 km from Manali. It is the glacier point where snow is available throughout the year. Afternoon at 4 – 5 pm return to Manali. Dinner & Overnight stay at hotel.